The Monarch Awards Are Back! Hamilton Monarch Awards 2019: For gardens that nature loves, by gardeners who love nature! Hamilton has a unique garden award program that recognizes function as well as good looks. The Monarch Awards (since 2016) showcase and champion gardeners who create nature-friendly spaces full of native plant diversity, pollinator habitat, healthy soil, and sustainable, ecologically sound approaches to garden care. 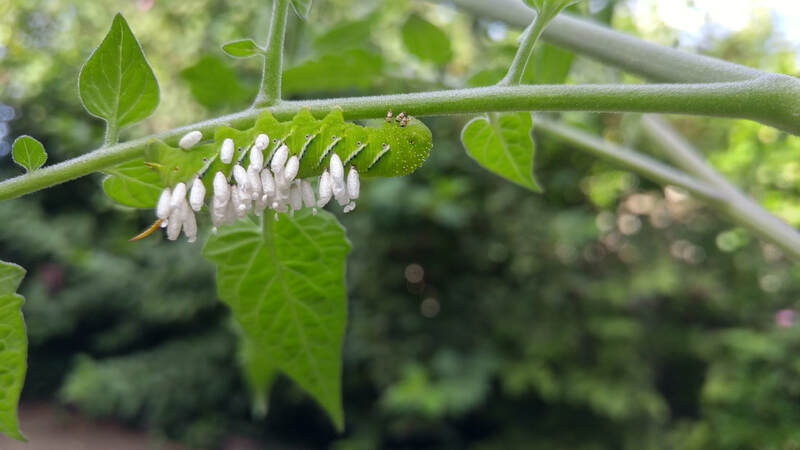 In 2018, the Monarch Awards added a new category for beginners who have just begun their “gardening for nature” journey. The Caterpillar Award recognizes those gardeners who are on their way to becoming mature Monarchs. *A move away from the competition aspect of the awards in favour of offering an inclusive opportunity to celebrate more of the work being done by nature gardeners across Hamilton. *No longer a contest, the Monarch Awards will become a standard of excellence. Instead of looking for “the best” gardens we’ll be looking for all the really good ones, made by gardeners who are consciously and knowledgeably creating places where nature can thrive. *Entrants can look forward to more garden visits next year. Visits include feedback, encouragement, and suggestions from the judges. The six categories (soil, water, plants, materials/hardscaping, cultural practices, and aesthetics) remain the same and judges will be looking for achievements in each of these areas. Apply today to one of these programs. It’s free! 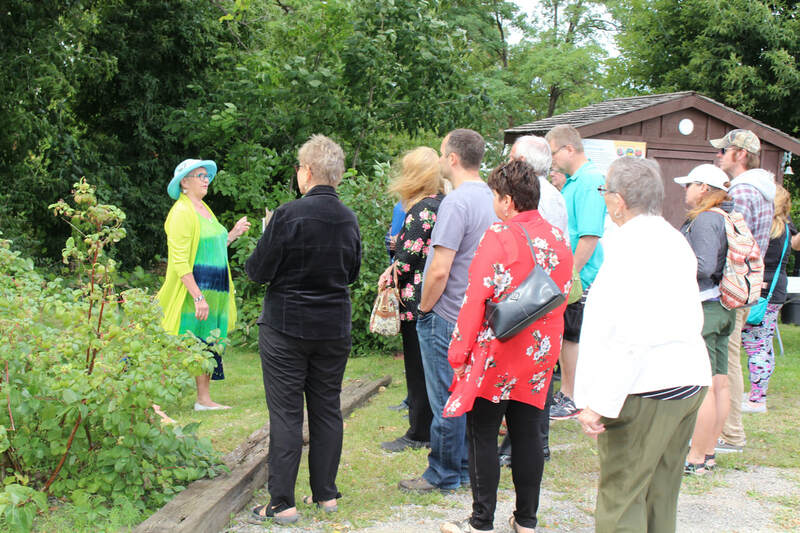 The Monarch Awards is a collaborative program of the Hamilton Pollinator Paradise Project (Environment Hamilton and the Hamilton Naturalists’ Club), the Crown Point Garden Club and the Royal Botanical Gardens. The City of Hamilton takes a great interest in this program and supports our efforts yearly by hosting the Awards celebration at City Council Chambers. 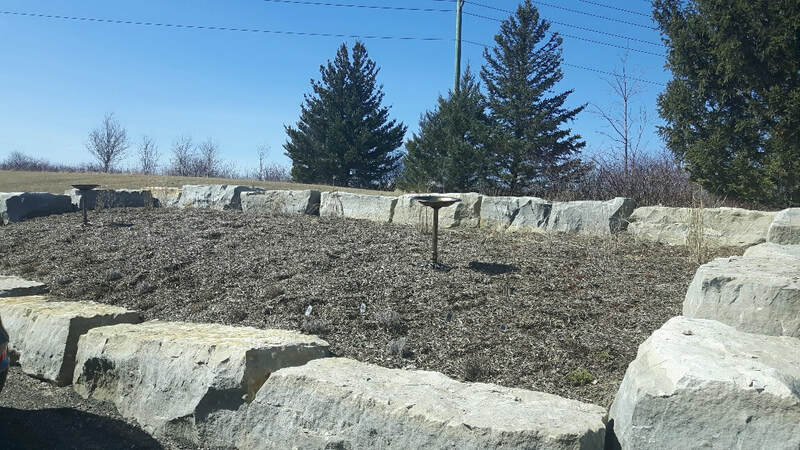 Pollinator Garden Construction: Carmeuse, Dundas. 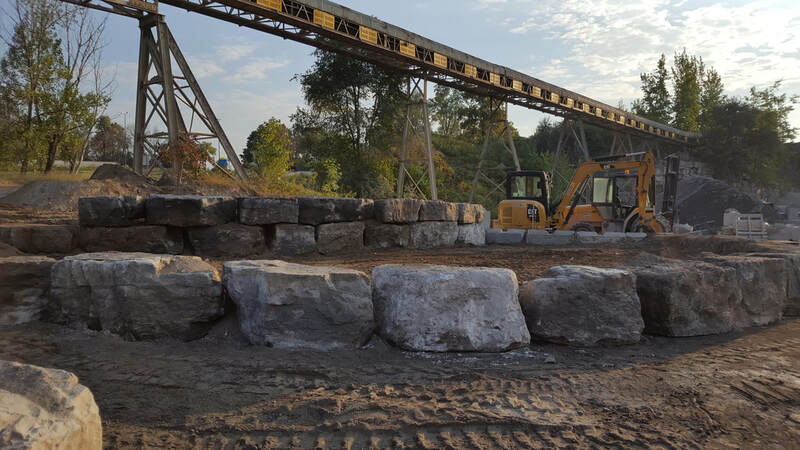 Lime and Limestone company, Carmeuse has planted pollinator gardens at their Dundas and Beachville sites. Carmeuse’s management team looked to Ingrid Hengemuhle, Area Quality Control Manager for Canada, to develop the pollinator gardens. A second 500 square foot garden was also created at Beachville. Local nurseries worked with the teams in selecting a variety of native plant species that would be in bloom in the garden from early spring to late summer. This is necessary for hungry pollinators seeking food and shelter in addition to a place to reproduce across these seasons. “It’s incredible. I didn’t realize there were so many different native plants that were attractive to pollinators,” Hengemuhle remarks. The entire process to assemble the gardens took a month. The Carmeuse Dundas garden is now included on the Hamilton Pollinator Paradise Project map to help build a Pollinator Corridor across the city, and with this program’s “We are Feeding Pollinators” sign staked firmly in the ground at the site, Carmeuse employees are eagerly waiting for the warmth to bring out the flowers and attract wild bees, butterflies, small birds, and other little beneficial critters. Planting native species to support nature and biodiversity is becoming more popular. This is great news for declining pollinator populations. At the same time, there are a number of myths and misconceptions around native plant gardening and pollinators that we are going to dispel in this blog post. Happy gardening for nature! Truth: With thoughtful plant selection and design, and proper maintenance, native species gardens are gorgeous. As we do with all ornamental plants, gardeners select natives to serve particular design functions. Is it tall enough to go at the back of the border? Does it bloom when we want it to--either when nothing else is blooming, or when the bloom colour will coordinate with other plants blooming at the same time? Does it have a form or habit (upright, sprawling, arching) that works with the plants around it? It’s simply a matter of researching the plant habit, and understanding that, when placed in rich garden loam with lots of elbow room, many native plants will get bigger, and spread faster, than they would in a natural setting. Native plants can be enthusiastic re-seeders in a garden. You can minimize the deluge of seedlings every spring by deadheading (cutting off the spent flowers) during the growing season or, if the seed heads are eaten by birds, just leave them. Roguing out seedlings in the spring is a learning opportunity, an excellent way to get up close and personal with your garden while providing plenty of seedlings to give away. Many gardeners are also concerned with aggressive spreading through runners. It is true that SOME native species are aggressive spreaders but not all are! Canada Goldenrod is one aggressive species but do not judge all goldenrods by this one species behaviour! We have many species of goldenrods that are very mild mannered and will not spread by runners at all. Some well-behaved goldenrods include Stiff Goldenrod (Solidago rigida) for dry sun and Blue-stem (Solidago caesia) or Zig-zag Goldenrods (Solidago flexicaulis), for part shade). Goldenrods are bountiful contributors to biodiversity and are great pollinator plants. There’s no harm in staking or supporting native plants if they get floppy or too tall. You can also cut them back to keep them shorter, although this may delay the bloom time by a week or so. 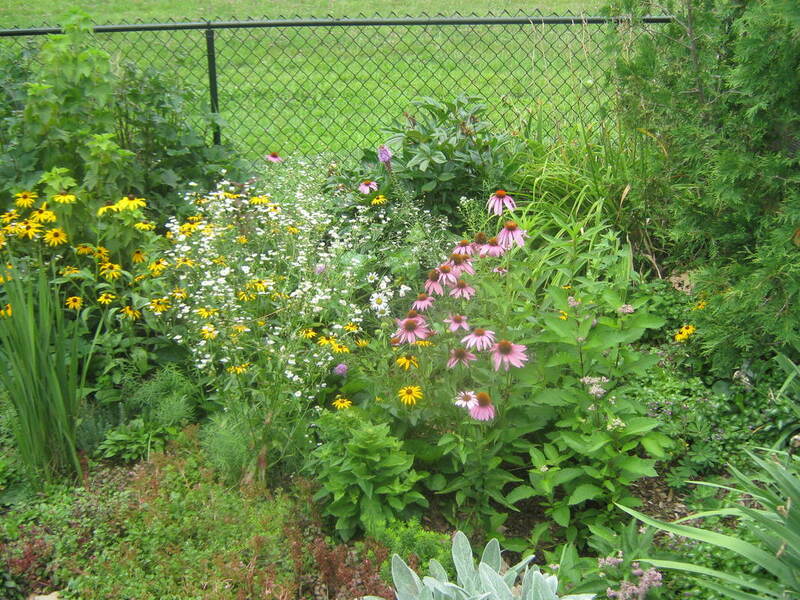 And there’s no rule against mixing native and non-native in your garden--it’s not all or nothing! For choosing suitable native plants, visit the Ontario Native Plants website. Check out our Resources and Guides page. "To appreciate the beauty of a snowflake, it is necessary to stand out in the cold," Aristotle. Winter is here! Underfoot, the snow crunches, the ice is slippery and we dream of the return of spring. But the world is beautiful for those who have eyes to see. Even in these cold months, there's a lot to see of nature. It's a hardier nature, a sleepy-headed, resting nature, a more subdued nature to see, the colours are subtle in the low light of the sun. Wind blows the dry milkweeds seeds off their pods, leaves crumble hiding hibernating critters, and we need to be careful not to disturb their slumber. I for one, admire the tenacity of the little plants and creatures, their patience, their pace, and I think it is a pace I wish I could adopt, but life hurries us on. Still, I make the time to stop, and watch and take a picture or two, because our campaign, My Hamilton Includes Nature, is year round. There is so much to see: from red fox, birds of all kinds (still hoping to see snowy owls), plants, insects, spiders, to fungi including lichen on trees. Building the Pollinator Corridor: Q & A with Ecologist, Brenda Van Ryswyk. Eastern Bumblebe – Bombus impatiens, on Lance-leaf Coreopsis. Q: We have heard of the concept "Half for Nature." Is this realistic in a city? In Hamilton? If so, how can this be achieved? A: I think it is realistic when looking at available/plantable space and innovative planting techniques. I think we need to aim for it. We can utilize different ways to achieve this. Removing areas that do not need to be paved and converting them back to greenspace is one way. Innovative ways also should be looked at: vertical gardens (pockets of plants going up walls of buildings/high rises), patio gardening, rooftop gardens etc (I bought some durable fabric ‘pockets’ to fill with soil and hang on my fence). These are some creative ways we can incorporate more plants into our surroundings even if we do not have the bare earth on the ground. Q: What can be done at the municipal level? A: We need to look at using native species on public lands and city gardens. The city can have policies that they themselves will plant natives whenever possible. Park planning should plan to have natives in the landscape and design gardens to incorporate natives into the foundation plantings. I feel cities should be planting native woodies almost exclusively. There is no need to be planting non-native Norway Maple as a street tree/ornamental when a native tree can/should be used (in some situations a non-native may be needed but in my mind that is rare….most non-native woodies currently used in city plantings will have a native species that will do the same job!). ​The city (or region even) could have policies in place that encourage corporate or private landowners to plant natives as well. Any time a planting is done, the request can be made that it be native, especially for woody plants-- or have at least 50% natives for herbaceous plantings. It may not be enforceable but just having a "request" can sometimes trigger using more natives. Once it is out there it will likely be acted on. Once people (or corporations) understand the WHY they may go beyond the minimum recommendation. Having a voluntary ‘certification’ or something can also encourage participation, for example, if corporations use 50% or more native plants they get a “helping wildlife/pollinators” title they can then brag about, put on their signs, put on their website/social media etc.